Hi everyone! 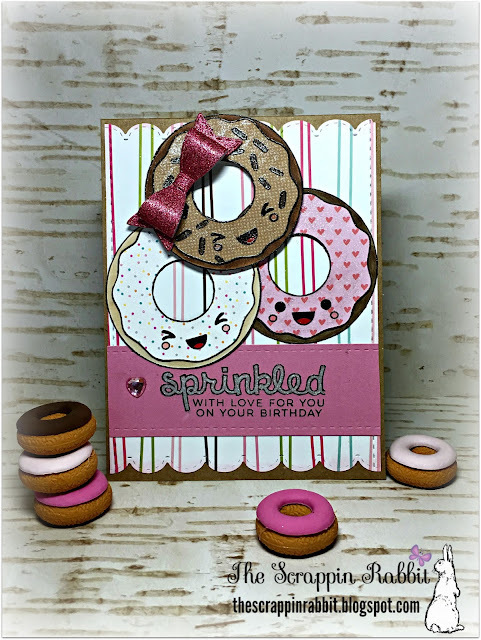 Its Tina from The Scrappin Rabbit blog and I am so happy to share my first projects for Jaded Blossom's Design Team! Yay! Today I am featuring the Love Donuts stamps. I love this set almost as much as I love eating donuts, LOL! I made a sweet little birthday card. 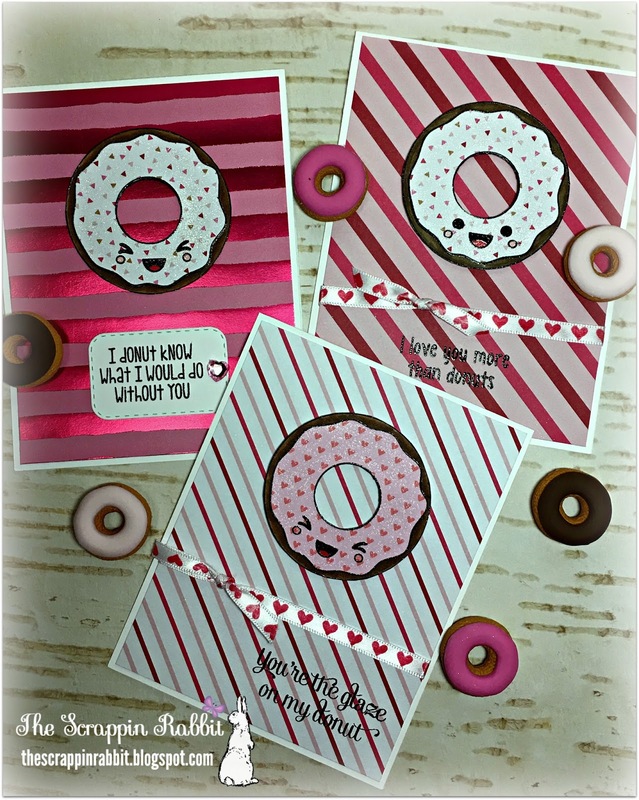 And finally I made a clean and simple Valentine's trio for my daughter to give to her friends. These sentiments are just perfect! Thank you so much for stopping by! I hope you like my projects. Wow! Awesome projects!!! Awesome video!! Congrats to you my friend!! 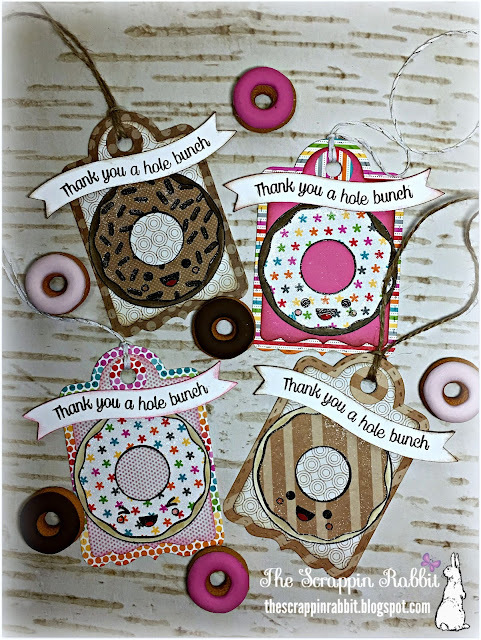 Super sweet projects! !